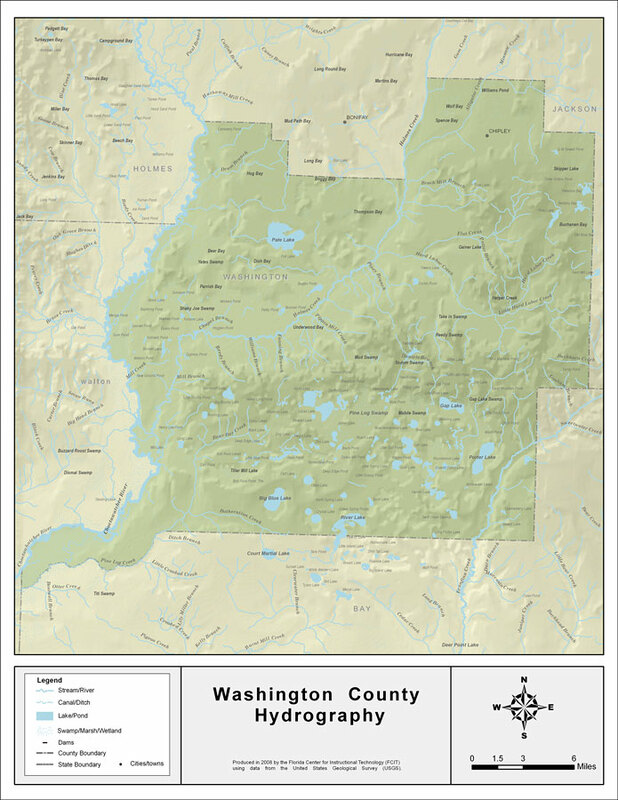 Description: This map was created by FCIT and shows the waterways of Washington County. All major rivers, streams, creeks, lakes, and swamps are labeled. This map features Brock Mill Branch, Dram Branch, Flat Creek, Potter Branch, Hard Labor Creek, Pate Lake, Piney Branch, Little Hard Labor Creek, Chapel Branch, Holmes Creek, Mill Creek, Mill Branch, Reedy Branch, Williams Branch, Fanninf Branch, Pippin Mill Creek, Daniels Branch, Bear Bay Creek, Pine Log Swamp, Gap Lake, Buckhom Creek, Goshum Branch, Long Branch, Red Head Branch, Porter Lake, Big Blue Lake, Graveyard Creek, Choctawatchee River, Pine Log Creek, Botheration Creek, River Lake, and Econfina Creek.